Sam has worked as a Senior European Finance Administrator in the Research and Innovation Services Department of Cardiff University since 2016. Previously, she spent over 14 years working in European Funding in the HE sector, providing guidance on the implementation of the financial process, compliancy, State Aid, eligibility and audits to the project teams on various multi-million pound Structural Funded projects, FP6, FP7, H2020, Marie Curie projects, LLP (Erasmus, Erasmus+), InterregIV, Big Lottery, and various other UK Government Research projects. Sam has significant experience in finance through working for a number of large organisations in both the public and private sectors e.g. Hyder (Dwr Cymru), BBC, District Audit, Environment Agency. Within these organisations she has held various finance roles including within Management Accounts Teams, Asset Management Financial Support Teams and Payment Departments. 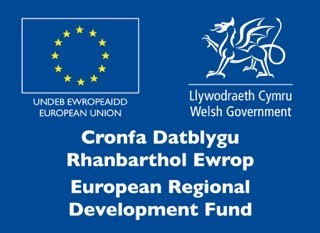 FLEXIS is part funded by the European Regional Development Fund and wishes to acknowledge the support provided by the Welsh European Funding Office (WEFO). FLEXIS is committed to supporting, developing and promoting equality, diversity and inclusion.